The era was not too dissimilar from the current one, in which a group of distillers set about protecting the images and their brands through regulations to create a certain designation on their label. Just as a valiant group of distillers now tries to create a legal framework for the category of American Single Malt Whiskey, more than 100 years ago Colonel Edmund Taylor led a similar charge to get the Bottled in Bond Act passed. In Cocktail Boothby’s 1891 classic American Bar-Tender, he describes flavoring new-made spirit to taste like bourbon, rye whiskey or Monongahela whiskey by using such ingredients as pear oil, oil of wintergreen, wine vinegar, scorched peaches, ammonia, burnt ground rye, allspice, cinnamon, cloves or pelargonic ether. A bottle or dram of “Monongahela Rye” or “Bourbon” could be a neutral spirit adulterated with any number of illicit, and often poisonous, substances. Then, just as now, distillers aimed to control bottling to ensure consumers that the spirit in the bottle was indeed pure whiskey and not the fabrication of a rectifier. The Bottled in Bond Act of 1897 is arguably the first consumer protection act in U.S. history. Bottled in Bond offers the distiller the protection of saying, with government stamp of approval and legal backing, that this whiskey was distilled and bottled at the same place. To be labeled Bottled in Bond, a spirit must be distilled in one distillery, in one growing season, aged for at least four years and bottled on premise at exactly 100 proof. It offers a statement of quality directly from the distillery to the consumer that was certified by a difficult-to-counterfeit tax stamp. Today, as craft distillers look to distinguish themselves from rectifiers, the same statement can be made and is beginning to be seen more commonly than in the past. Spirits bottled in bond are being released by a growing number of craft distilleries across the nation, including Tom’s Foolery, Kings County Distillery, Oregon Spirit Distillers, Belmont Farms, Grand Traverse Distillery and Law’s Whiskey House. But, it is surprising how many working distillers do not understand the words “Bottled in Bond”: what they mean and what they guarantee. The statement is often misinterpreted to be a meaningless marketing slogan of bygone brands that your dear departed grandfather used to drink, like Old Grand-Dad Bottled in Bond—a very nice whiskey, according to bourbon evangelist Bernie Lubbers. “If you see ‘bonded’ or ‘bottled in bond’ on your bourbon label, you are guaranteed it is an honest 100 proof, at least four years old, and distilled in one place in a specified period of time. In short, the good stuff,” Lubbers says in Bourbon Whiskey; Our Native Spirit (2011, Blue River Press). I made this from scratch! Similarly, the American Single Malt Whiskey movement would like to send the message that certain whiskeys were distilled and bottled in the same place. The group would like to see the creation of a Standard of Identity for American Single Malt Whiskey that is mashed, distilled and matured in the United States of America, made from 100% malted barley, distilled entirely at one distillery at no more than 160 proof, matured in oak casks not exceeding 700 liters and bottled at 80 proof or higher. People who would like to know more about this should go to http://www.americansinglemaltwhiskey.org. ADI encourages distillers to support this movement. Andrew Faulkner has been with Distiller magazine since its inception, rising from Photography Editor to Managing Editor. 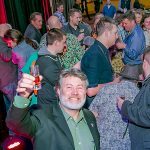 He has served many roles for the American Distilling Institute, from Curriculum Coordinator for Hands-on Distilling Workshops to helping plan the Annual Spirits Conference and Vendor Expo. 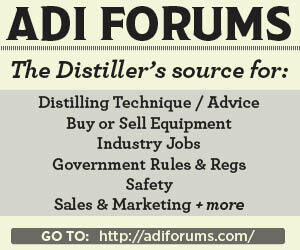 Faulkner is the architect of the ADI’s International Judging of Craft Spirits and served five years as Vice President. He is the co-author, along with Bill Owens and Alan Dikty, of “The Art of Distilling Whiskey” (2019, Quarry Press), and has edited five distilling books for White Mule Press. In his free time, Faulkner enjoys playing chess with his son, dancing with his daughter, and laughing with his wife.